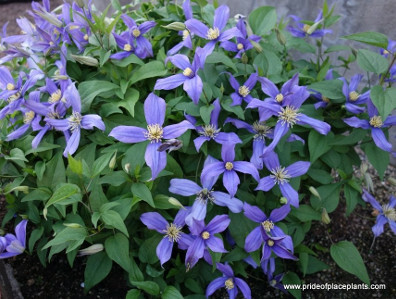 Chloe Clematis: tiny clematis fits in a perennial garden. into a pot or add her to a miniature garden. Cut her back halfway in midsummer for even more flowers!